This is the third in a series of articles that discuss the 3P Change Equation (Purpose, Passion, Process) approach to change in any organization – the foundation of my Fired up & Focused keynote and workshops. If you can’t wait to read the full series, contact me today to get a free copy of my white paper Fired Up & Focused: Stimulating Passion, Productivity and Performance with your People. Organizations and people grow, evolve, and change. It’s what we do — and failure to do so over time will find us being followers rather than leaders. Change starts with having a clear purpose. 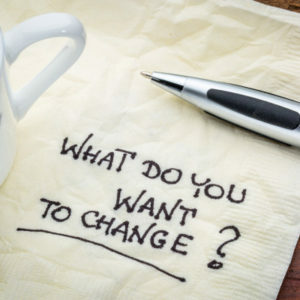 The purpose of change needs to be clearly stated — and understood — in order for your team to emotionally and rationally understand the need for change. This starts when you have clarity and focus on your purpose. Clarity allows a person’s role within the change process to move from being task based to one that has more meaning. Regardless of the role, when your team sees it as totally aligned and critical to the success of the organization’s purpose – it brings more value to the role. This leads to higher engagement, commitment and buy-in. It also helps to instill passion among your team. You need to clearly communicate why change is necessary, why you do what you do, and where you are going. You need to have a clear purpose, vision, and values. The following discusses the importance of having clarity of purpose, vision and values to lay the groundwork for change and execute the 3P Change Equation. As a leader, your role is to lay the groundwork for change and clearly communicate why you are initiating change. In the absence of a clear focused purpose — whether it’s for the company or the project you are working towards — people will fill that vacuum with their own and you have a lot of people potentially moving in different directions. To communicate your purpose, develop a statement of intent, and keep it focused on the future. Define what your organization believes about the service they deliver. Remember – it’s not about WHAT you do but WHY you do it. Once you have clarity of purpose, you can decide where you want to go in the future. Once you define a clear purpose, it’s important for leaders to provide a clear vision for where change will not only take the company, but how it will impact customers and people within the organization. As leaders, we need clarity around where we are going and why we want to lead the organization there. Once we have this the organization as a whole can figure out the how to get there. Your vision statement cannot just be a paper document that you create and forget about. If you are just creating it to say you have a vision, when why do it? Good vision statements are living, breathing documents that provide you with long term direction and are the North Star you follow as your company grows and makes change. Once you have a clear vision, you can then define a plan to make change happen. Your vision statement should be emotionally engaging, be a source of inspiration, align with organizational objectives and communicate why and how change will create a better experience for everyone. If your vision lacks inspiration and doesn’t connect on an emotional level, it will fall flat. Leaders also need to clearly communicate what they stand for, define organizational values and use this to guide the company during change. Values are what you stand for. They are the moral/ethical compass for the organization, and they guide behaviour and decision-making across the organization. Having a clear set of core values communicates to your people what kind of organization is being built. It gives them the opportunity to decide whether they want to belong to that kind of organization as it changes. In return, you have the opportunity to evaluate people for a good fit with your team. Your values create the culture of the organization you are trying to build. Are your values clearly defined and evident in your decision making? When you have clarity around your Purpose, Vision and Values – then people have the ability to make a conscious decision to follow your lead and get on board. They will know where they can play an important role. People have a better understanding of what to expect, how change will impact them, and what is expected of them as your organization grows in a new direction. Without clarity it will just be a job filled with empty tasks. A lack of clarity causes confusion. In the absence of a clearly focused purpose — whether it is for the company or the project you are working towards — people will fill that vacuum with their own beliefs and start to operate as individuals rather than as a part of a team. Clarity of purpose with supporting Vision and Values guides decision-making and gives people the courage to Stand Up & Speak Up. The next article in the series will discuss why leaders need to support their defined purpose by tapping into the passion and emotion of the people with whom they are working.